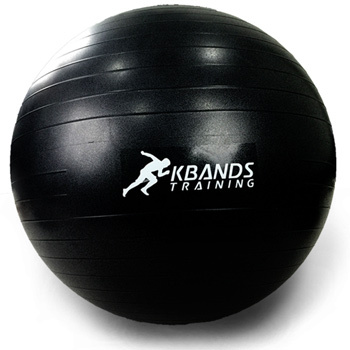 The Kbands Stability Ball is an essential training tool used to increase core strength, stability, and balance. Each stability ball includes a handheld air pump and a 65 cm stability ball. The Kbands Stability Ball can be used with body weight exercises as well as resistance training. 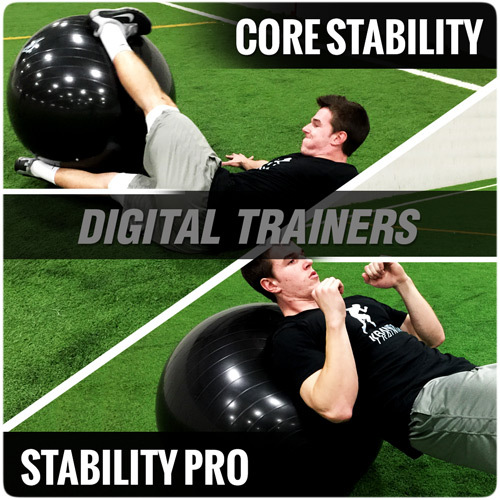 Combine the Stability Ball with your speed and agility training to optimize your results and help prevent injuries. The Kbands Stability Ball is an essential training tool used to increase core strength, stability, shoulder strength, and balance. Each stability ball includes a handheld air pump and a 65 cm stability ball. The Kbands Stability Ball can be used with body weight exercises, as well as resistance training, to take your athleticism to the next level. Combine the Kbands Stability Ball with your speed and agility training to optimize your results, strengthen your core, and help prevent injuries.